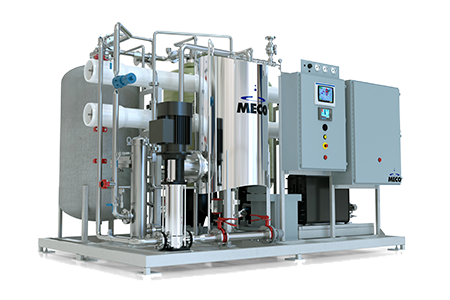 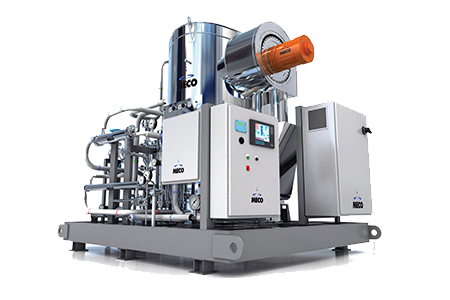 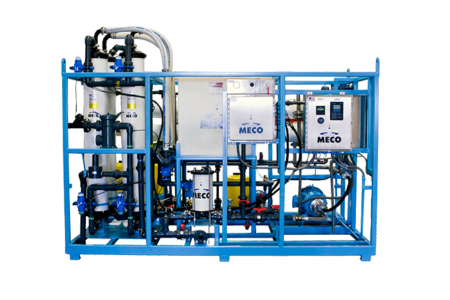 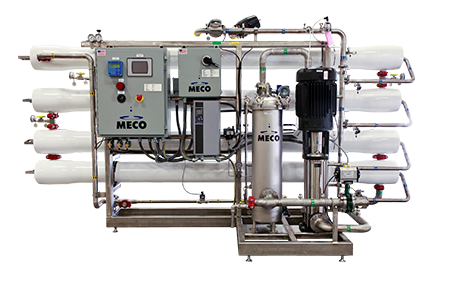 MECO’s MMRO units incorporate all of the components and instrumentation required for operation, as well as the versatility to adapt to specific customer requirements. 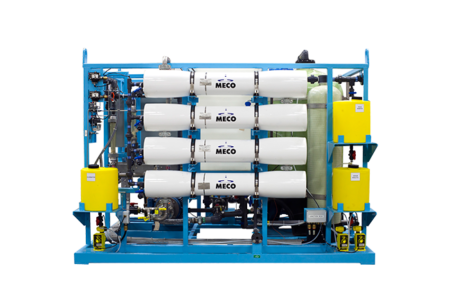 The MMRO comes completely packaged for minimum installation and built for rugged oilfield skids with surface preparation and coatings suitable for marine environments. 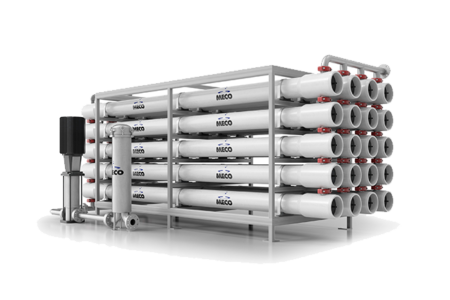 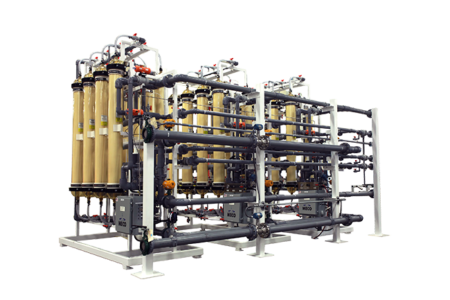 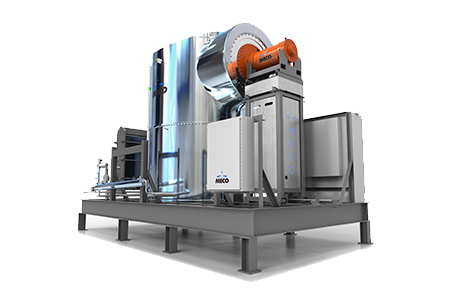 It produces potable drinking water and offers a multiple-pass system for higher water quality. 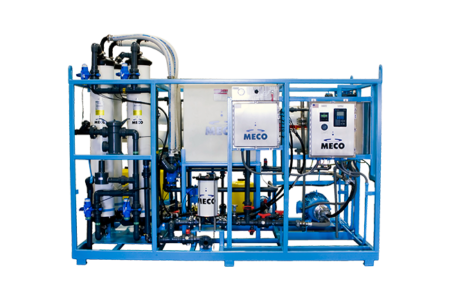 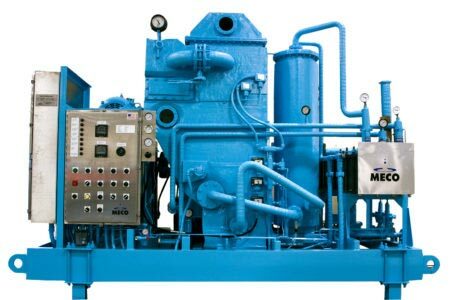 The MECO MMRO units are supported by MECO 24-hour customer service. 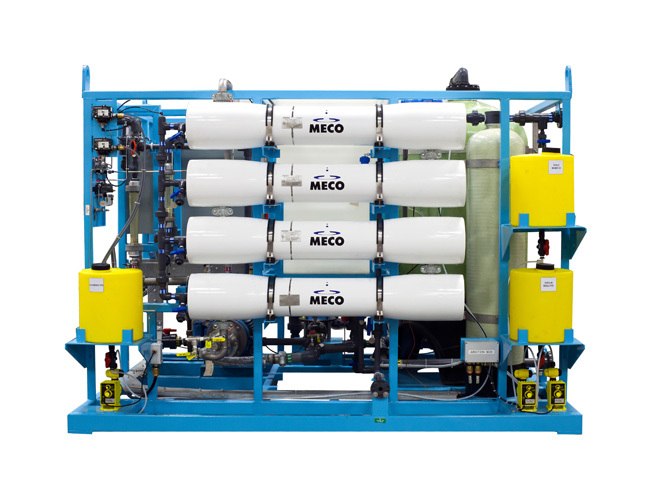 Note: Capacities are based seawater with a TDS of 35,000 ppm at 77°F (25°C).